get done is at a "finished for now" point. never afford the hefty price tag the chandys command. 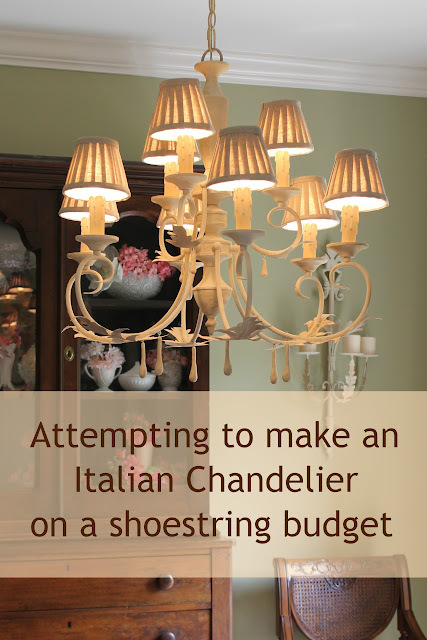 Italian chandeliers and many variations on it, see this interesting article. all of it's many parts sat and sat and sat around my house. to have something to put ON the blog. Annie Sloan Chalk Paint and gave it a coat of "Old White"
and get the fixture done and hanging up. I had held on to an inspiration magazine as a "go by". I'm not positive that is a Niermann Weeks' chandy but it is similar. to try to cut out leaves to add to my chandy. to make the chandy leaves. used the top part of the original pattern. chandy on the internet with good "bones" for the bedroom. both of them hoping to get them up before my party. a day between stages for the glue to dry and hold. Floral wire was used to hold the metal leaves in place along the arm and in contact with the glue. they also got a coat of AS "Old White". To tell the truth, I was disappointed at this stage. The chandy did not have the old, chippy look of the NW ones. I had thought about (and moved around) for so long? I decided that I could always sand it off if I didn't like it. personality and faux age to the chandy. It even filled in gaps between the chandy arms and the leaves. A lot of the NW chandys have "hang-y down-y things"
so I tried to make some out of polymer clay. with a loop on top from the craft store jewelry section. After baking, the dangles got a coat of texture paint also. Bottom dangle is before texture crackle paint, top is after paint has been applied. realize that they would flatten on one side while baking. and then hold, hold, hold, the ring in place till it took. In retrospect, I should have glued the rings on BEFORE I added paint to the arms. The glues did not like the paint. wired directly onto the arm at the last minute. few days, I realized I was not completely happy with it. ran out of time to post about within a week. shades at Hobby Lobby that I like very much. The dangles got remade with more polymer clay. telling myself might look "hand crafted" to some. All dangles got re-glued rings to hang off of. colors later but for summer, it has a light look. unfinished but needed addition to my home. I am amazed at the things you come up with! The chandy turned out wonderful. Miss Kitty- YOU are MY hero! lol Not to be confused with MyHero that I live with!!! Anyway, this is a spectacular job you did here- I read every single word....amazing! I love how it turned out. You are a genius! The chandy turned out just gorgeous, WOW!!! You are so creative with all the "hang-y down-y things" and the leaves that you were able to create from simple supplies. It turned out very pretty. I like a handmade look!! I'm in awe!!! Really, what a project! The way you cut the tin and made leaves.. 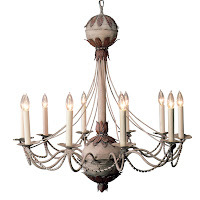 I have a rather ucky chandy that I re did in my dining room several years ago and hated it.. I may just follow your instructions and see what I can do with it... Great transformation! Thanks so much for coming by my blog... Following from Funky's challenge! AMAZING!! 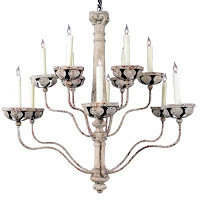 Your chandy looks fabulous! I LOVE your whole dining room!! You really take on a challenge and do it up with style. Love it! You really put some hard work into this chandy and it turned out really special. I can't get over that you made the embellishments your self! I am impressed. Wow, I'm impressed!! 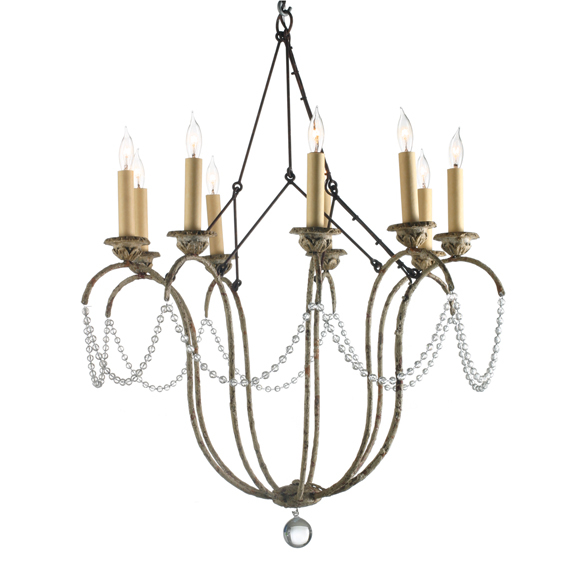 Your chandelier is fabulous, and now you can enjoy it even more because of your hard labor. This is one amazing project! You did an incredible job on this chandy. Wow! Oh wow! You did a great job! I love it! You should be so proud of this! What a great result! It really is beautiful. Thanks for linking up at SaltTree's Open Call Tuesdays! Job well done...LOVE it!! You had an idea and with with it...that's a great DIY:) Thanks for sharing at my party. Truly amazing! 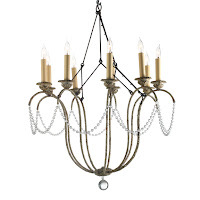 Your chandy looks every bit as wonderful as those that you would pay big $$$ for. You did a great job! This is just amazing. This post is so inspirational. I would love it if you could share this awesome post at our What’s It Wednesday linky party. I hope you can join us. What a fantastic job you did with that! 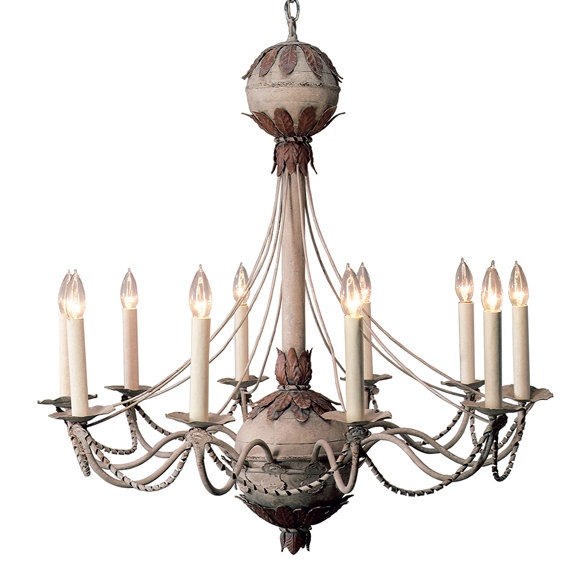 If you had not walked us through it and said you went out and bought a Italian chandy I would have believed it. Looks great! Thank you for joining me at Home Sweet Home! This is fabulous. What a great job you did creating this. Thanks for sharing at Wow. This will be featured at Wow tonight. I love how your chandelier turned out. It's beautiful!!! I've used roof flashing to make Christmas ornaments. Your so smart to make leaves. Kitty it turned out so good! You have way more patience than I do. I am in love with that style chandy as well so I look forward to learning more about them. Thanx for the link. Your chandy is fabulous! Thanks so much for linking it with us. It is now a feature this week at Ivy and Elephants. Please drop by and grab a featured button! Holy cow...now THAT'S a lot of work! But it looks great! Wow! That is an undertaking! I am impressed at how beautifully it turned out! Great job!! Miss Kat this chandy is fabulous. I love the way you kept finding ways to make what you want. Great ideas. A nice chandelier can turn a ugly room into a beautiful one.